Tramonte, Thomas of Revere passed away unexpectedly on February 13th after a brief illness. 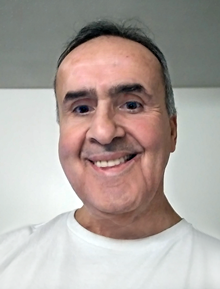 Beloved brother of Barbara Caruso of Saugus, Audrey McNamara of Peabody, Howard Tramonte of FL, Robyn Yaqoob and Muhammad of Revere, and the late Lois Wills. Family and friends will honor Thomas' life by gathering at the Ruggiero Family Memorial Home, 971 Saratoga Street, East Boston on Saturday February 16th from 4:00 pm - 6:00 pm with a prayer service that will take place during the visiting hours. All other services are private.